A researcher from Stanford's Archaeology Center, working with colleagues in China has found evidence to support the notion that early hunter-gatherers in China turned to processing plant foods in order to survive the last ice-age and in so doing may have started down the path that would eventually lead to farming. The team, led by Li Liu studied grinding stones dated back to between 23,000 and 19,500 years ago, and have found that their use suggests that those that used them were doing so to supplement dwindling food supplies found via hunting. The group has published a paper detailing their findings in the Proceedings of the National Academy of Sciences. The team studied three grinding stones found in the Yellow River region and have dated back their use to a time somewhere between 23,000 and 19,500 years ago. This coincides with the peak of the last major ice-age (glacial maximum) and suggests early hunter-gatherers had begun to rely more on gathering (and processing to some extent) as hunting became a less reliable food source. But because prior research by other groups has found that agriculture didn't get going in China until approximately 11,000 years ago, that means that it took approximately 12,000 years to move from eating local foods, to growing them on purpose in specified ways. 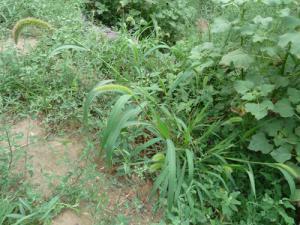 In studying the grinding stones, the researchers found residue from the plants that were ground with them—they included grains such as millet as well as beans, yams and other roots. Other research has also found evidence to indicate that there was a short period of warmth in the region approximately 23,000 years ago, which would have provided an opportunity for people to begin exploiting such plants in earnest. That in turn appears to have led to developing methods to make such food more palatable by grinding them and perhaps mixing them together with other ingredients. This switchover, due to adjusting to the ice-age, the team theorizes, could mark the turning point that eventually led to the development of agricultural practices as a means of giving people more control over the way their food was obtained. 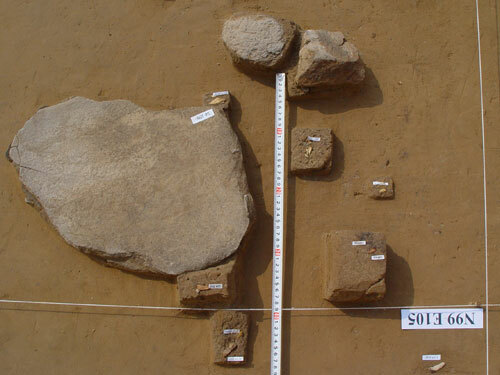 Abstract : Three grinding stones from Shizitan Locality 14 (ca. 23,000–19,500 calendar years before present) in the middle Yellow River region were subjected to usewear and residue analyses to investigate human adaptation during the last glacial maximum (LGM) period, when resources were generally scarce and plant foods may have become increasingly important in the human diet. The results show that these tools were used to process various plants, including Triticeae and Paniceae grasses, Vigna beans, Dioscorea opposita yam, and Trichosanthes kirilowii snakegourd roots. Tubers were important food resources for Paleolithic hunter–gatherers, and Paniceae grasses were exploited about 12,000 y before their domestication. The long tradition of intensive exploitation of certain types of flora helped Paleolithic people understand the properties of these plants, including their medicinal uses, and eventually led to the plants' domestication. 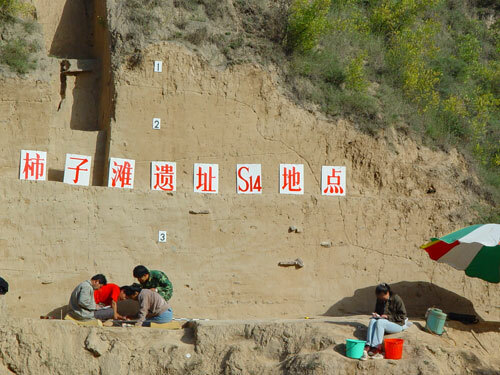 This study sheds light on the deep history of the broad spectrum subsistence strategy characteristic of late Pleistocene north China before the origins of agriculture in this region.